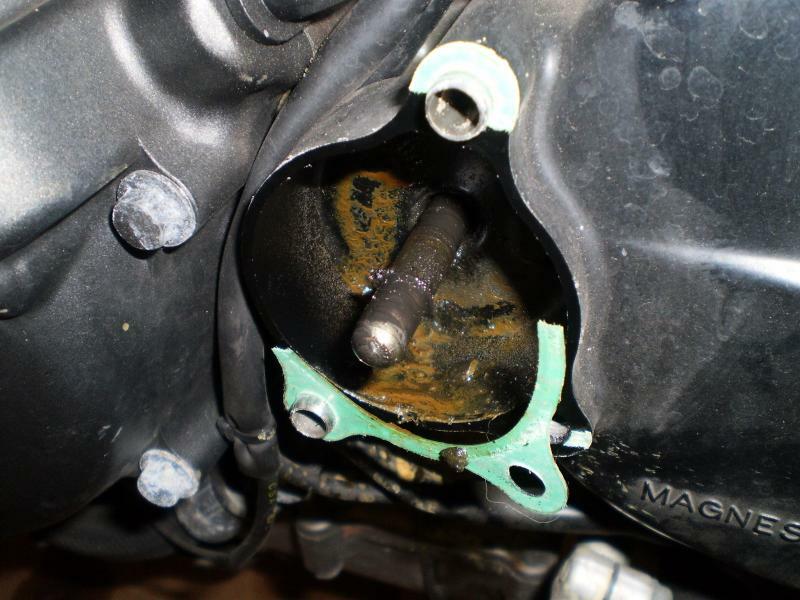 Clutch Slave Cylinder Leak - common problem? easy fix? I noticed my clutch fluid looking low, then I put the kickstand down and saw a drip come from the slave cylinder. I haven't found much after searching for slave cylinder leaks. Is this a common thing? Is it an easy fix? My friend told me to take it apart and clean everything really good, then put it back together and see if it stops. He said he had a leak and did that and it stopped leaking. I'm going to try this and see if it helps. Does honda sell a rebuild kit? Not super common but it happens. I had what I thought was a leak when I bought my sued SH in 2005.. Turned out to be chain lube that had built up and was dripping down. Another SH I was asked to help with did have a leaking slave cylinder seal.. and the MC was rebuilt at the same time. Honda does not sell a kit, you just buy the parts required. Well there is really no need for the "oil seal" as that is where the push rod mates to the slave cylinder. All you really need is pos #9 the cup,piston. The spring is something I replace while in there "just because"
So I pulled the slave of tonight, and it's nasty. 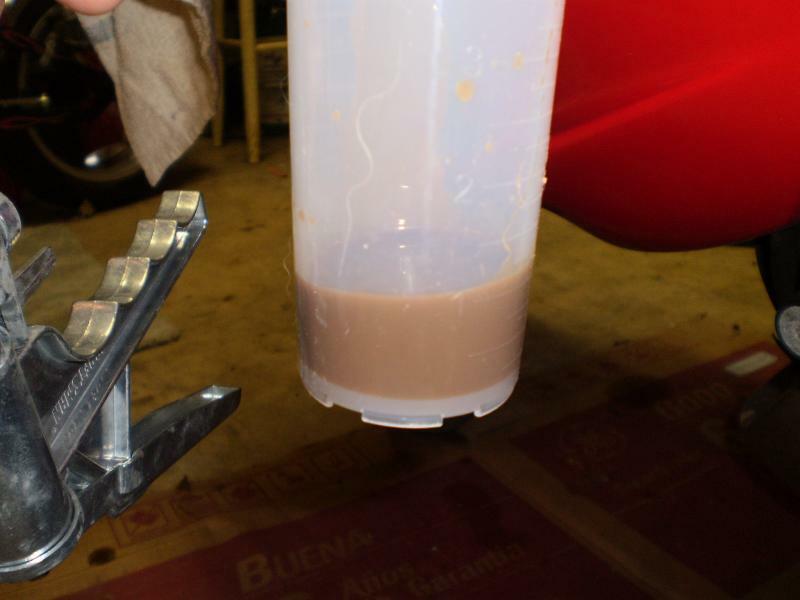 I'm going to assume the fluid was never changed in my bike, what came out looked like chocolate milk. Big pile of krud inside the cylinder. After bleeding the clutch felt really smooth like it was moving more freely, go figure. Went for a short ride and don't see a leak, I'll go for a longer ride tomorrow and see if it leaks. Just ordered all parts, including SS line . Thanks E.Marquez & 8541Hawk for the links, that's where I ordered them. 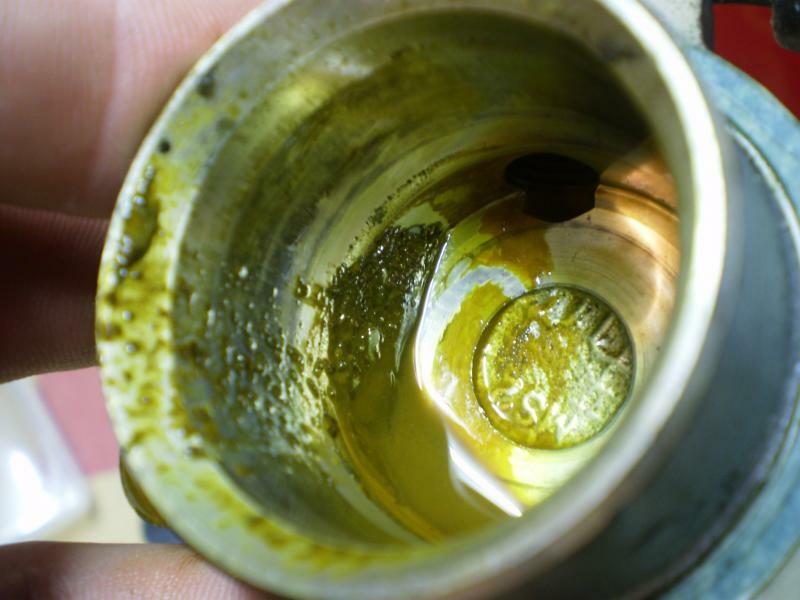 Examine the inside of the cylinder surface closely for scratches from grit in the crud. I replaced the slave seal and continued to have a slow leak. Some fine wet&dry and a polish put that right. yea I was worried about that when I was cleaning it, looks like the cylinder was worn pretty good. When I get off work I'll go on a long ride and see how it does. hey guys..im new to the site just got a superhawk..
sorry for bringing an old thread to live but i need a little help..
i got my superhawk off a friend and when i got it the clutch was broken off..got a a new clutch lever and realized the bushing and push rod for the slave cylinder were missing..i did some looking online and went to a local honda shop $30 dollars for those two parts, that will not work with me. soo i have decided to just make one.. i was curious as to if someone can give me the dimensions to the pushrod and bushing as to the length of the push rod and the diameter of the slug end that pushes against the piston..if i can get those dimensions the bushing that goes into the lever that holds the push rod in place would be an easy make..any help i can get would be most apperciated..if anyone could pm me those diamension or help on were to find a cheap set it would really help..
thanks alot apperciate it..still gonna try and make one kinda bored and easy process..
whole lot from you guys! Thanks!! Quick Reply: Clutch Slave Cylinder Leak - common problem? easy fix?